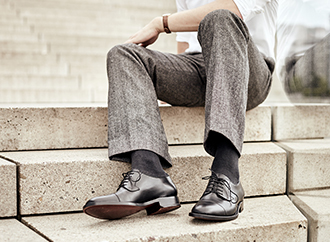 You cannot care for fine, velvety velours with a regular shoe brush, since a fine goat hair or horsehair brush can leave behind noticeable marks on this material. 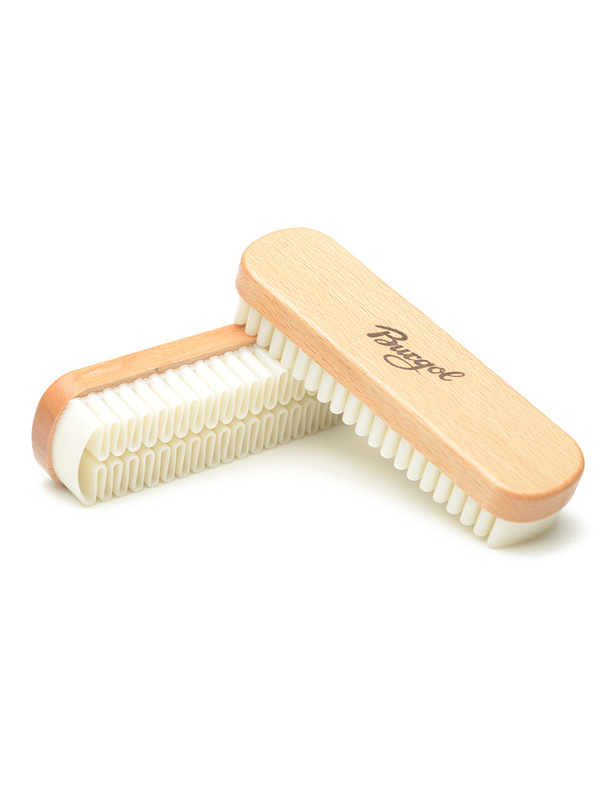 Instead, the Burgol suede brush features fine caoutchouc ribbing to gently remove dust from suede or velour leather shoes. When it comes to premium velours or suede, you should steer clear of brushes with classic brass bristles, and reach for this Burgol suede brush instead. This suede brush with ribbing made of natural crepe gently cleans suede and velours and, once a care product has been applied, can be used to restore the delicate nap on these materials. The result: wonderfully velvety shoes. This suede brush has an unvarnished wooden head and handle. Thanks to its compact size, it fits perfectly in your hand. To keep your suede brush in mint condition for a long period of time, you should store it out of direct sunlight, inside the plastic bag included with delivery. Incidentally, you can easily clean the rubber ribbing after use with soap and water.